This 11×14 inch oil on linen panel is my photo from the Monday practice round in 2013. Loved this hole (other than the added trees on the right) and the fact you can see the 12th in the background made me want to paint it even more. 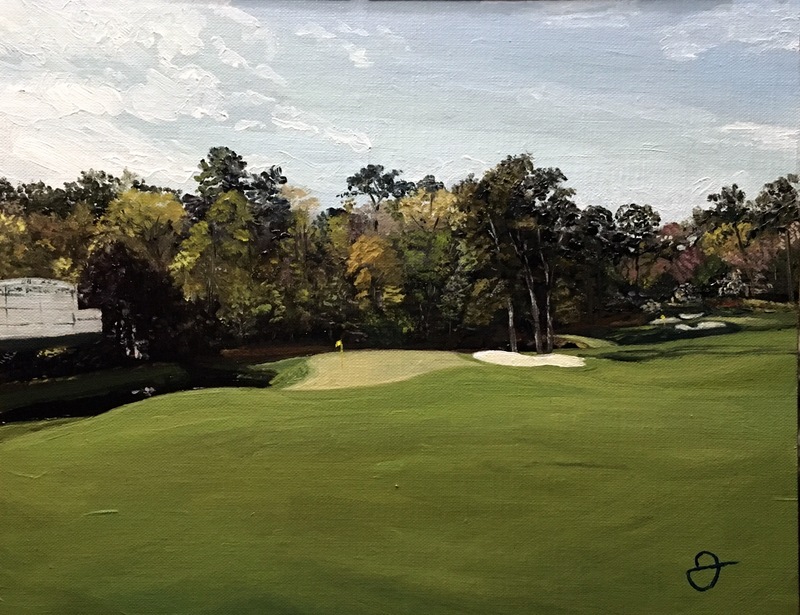 Posted in Art, Golf, Landscape, Oil paintingTagged augusta national, golf, golfart, golfartist, the mastersBookmark the permalink.